Armley youngsters learn to care for their war memorial - and honour the fallen | West Leeds Dispatch | News. Views. Get involved! 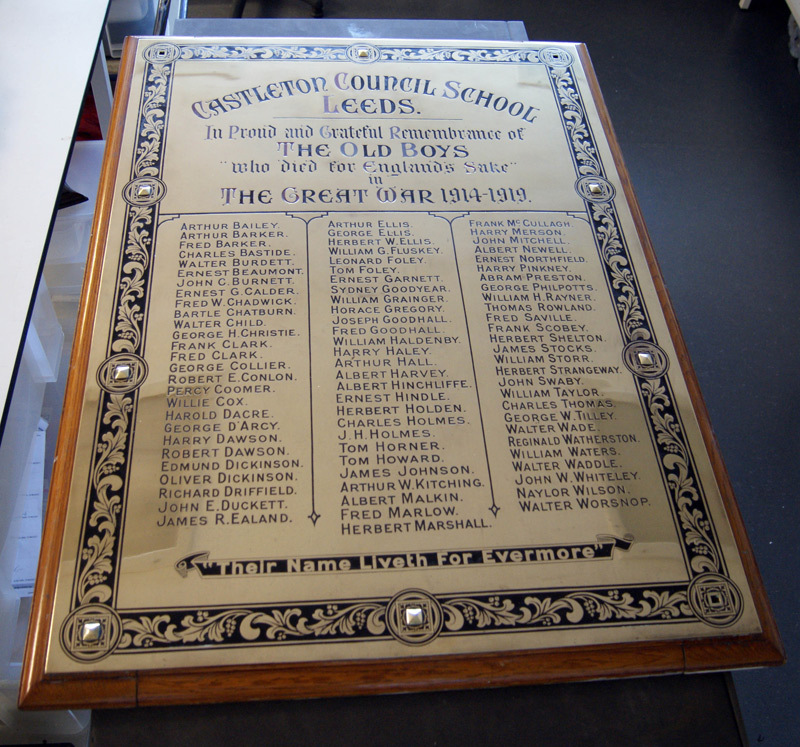 As part of our wider partnership with Castleton Primary School in Armley to commemorate the centenary of the First World War, pupils from Year 4 came to the Discovery Centre to learn how to care for their war memorial, writes Lucy Moore from Leeds Museums and Galleries. A previous headteacher at the school had rescued the memorial from a skip! Members of staff and pupils had begun to research the people on the memorial – some of whom were related to students at the school today. The school agreed that in order to conserve the memorial it should come to the Discovery Centre for some preliminary work and then the pupils would join us to finish the work on the memorial and learn how to look after it in the future. What work did we do? 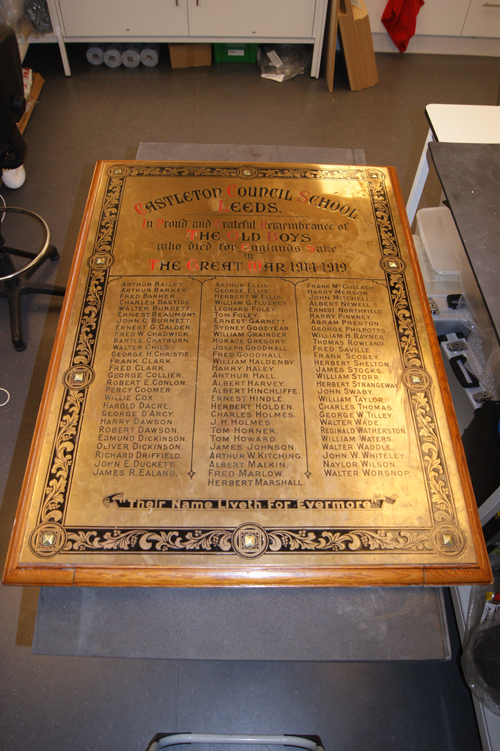 The copper alloy tarnish was removed with soft cloths and an appropriate polish. The letters were cleaned with cotton wool swabs and de-ionised water. Paint splashes were removed – where appropriate – with a sharp scalpel blade. Metal surface was coated with Renaissance Micro-crystalline wax. More on Leeds Museums and Galleries here.